Appearing last week at the Greater Durham Chamber of Commerce annual meeting, Gov. Roy Cooper laid out his agenda for 2019 – including a renewed call for a program to help students attend college. Delivering the keynote address at the meeting, Cooper touted a number of business-friendly accomplishments from his first two years in office, including the creation of 40,000 new jobs, the repeal of HB2, and a bipartisan effort to attract new business with economic development incentives. But he also discussed his hopes for the year ahead, especially now that Republicans no longer have a veto-proof majority in the General Assembly. 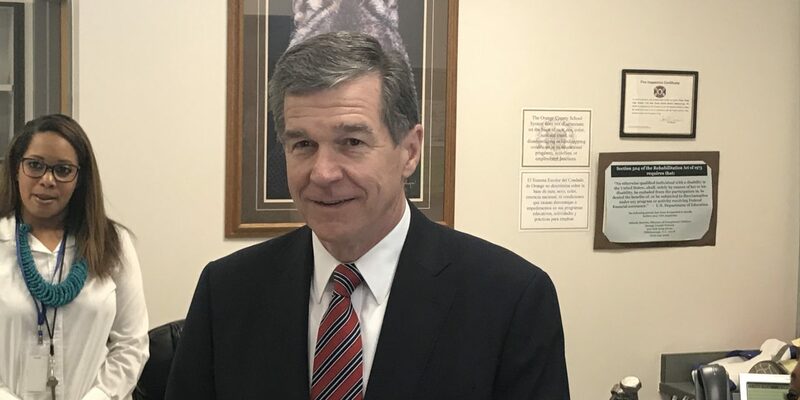 Cooper called for North Carolina to expand Medicaid, to promote renewable energy – and to increase its commitment to public education, particularly early childhood education. Cooper said the state needs to do whatever it can to entice the best students to want to go into teaching. In addition to a renewed commitment to K-12 education, Cooper also pledged to continue pushing for a program called NC GROW – which would enable North Carolina high school grads to attend community college for free. Listen to Cooper’s speech at the Durham Chamber annual meeting.